Is Shaming Matthew McConaughey Good For Animal Activism? Last week, word got out that Matthew McConaughey is a part owner of a canned hunting ranch. That's a ranch where, for a fee, people can shoot animals who are fenced in. According to Snopes, the ranch is primarily used to raise Angus beef cattle but includes a section where customers can participate in captive whitetail deer hunts. McConaughey's representatives have told TMZ that the actor sold his interest in the ranch in 2011. His family members, who own and manage the ranch, left his name and photograph on the website, presumably for publicity purposes. 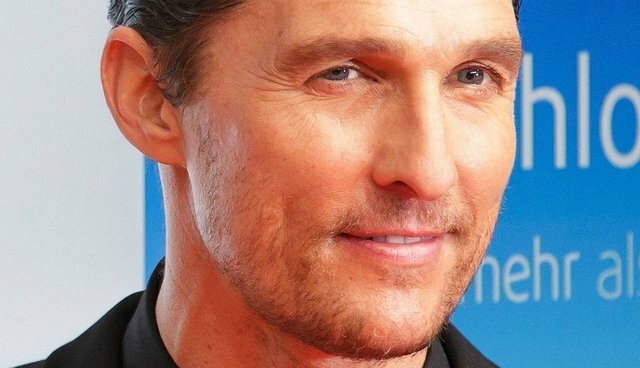 The connection spread fast via tweets, blogs and Facebook pages, and soon media headlines read "Matthew McConaughey gets death threats from animal rights activists." Few legitimate activists would think such headlines are good for a movement that is trying to pave its way into the mainstream. But given the tone of many of the posts about McConaughey, the escalation into threats was predictable. Famous people make easy and sometimes effective targets for our message. But what was the message here? That canned hunting is worse than other hunting? In this particular case the animals roam 22,000 acres, so men killing the deer, even near the ranch's feeding stations, may differ little from hunters who talk about their respect for nature while killing animals near watering holes in the wild. But if the ranch were small, I doubt the animals would care that their killers were lazy. The deer killed for dinner would be just as dead. Is our message that hunting deer is worse than eating factory farmed animals? The deer on that ranch suffered far less than the animals eaten by almost every other actor, and by many of our family members. Some activists find hunting particularly repellent due to the enjoyment people get out of the killing, but that makes no difference to the animals. Despite our human tendency to focus on each other, we must keep our focus on the animals, who need our help so badly. You may think I am giving McConaughey a pass that he doesn't deserve. But by scapegoating McConaughey, and the canned hunting ranch, I think we are giving him and everybody else a pass on behavior that causes incomparably more suffering. Particularly surprising, in light of the current maelstrom, is that we paid little attention to McConaughey's "Beef: It's What's For Dinner" campaign. That campaign surely led to more animal death, under worse circumstances. I wonder what message we sent McConaughey and others as we ignored it, and then exploded over a hunting ranch. By ignoring McConaughey's beef campaign we may have missed a good opportunity to educate people, at a time when many are open to hearing about the effect that the meat industry has on the environment. A focus on that would not have flown around the internet at the same rate as the shots taken at the ranch, but a message delivered faster and wider isn't preferable if it's garbled. As I write about squandering an opportunity to approach McConaughey regarding his beef campaign, I know that many people will think that a gentler approach, and efforts to educate, would fail. But remember how we rolled our collective eyes at Al Gore's early lectures on global warming, noting that he avoided mentioning the incomparable contribution of the livestock industry? We never victimized him, he never got death threats, but he did eventually get the message. And Gore's choice to go vegan has been good for our cause. McConaughey may, eventually, get it too. But that would more likely be as a result of his wonderful experience working with the committed vegan, Woody Harrelson, on "True Detective," than due to his recent experiences with the animal rights community. We have to remember that helping animals and hurting their abusers is not necessarily the same thing. In fact negative campaigns and posts can pull our energy away from joyful and effective activism for the animals. And when a newspaper prints a fabulous vegan recipe it helps the animals far more than a headline announcing that animal rights activists are threatening the life of a popular actor. Negative campaigns may turn the world's attention to the abusers, with effects that may not be helpful. Think of all the free advertising we've given hunters who taunt us with particularly disgusting photos. I fear that with this most recent campaign, as we made sure the whole world knew of an Oscar winning actor's association with hunting, we cannot be sure that we tarnished McConaughey's image rather than refurbishing that of dying sport. For similar reasons we should think twice about publicly shaming celebrities who have decided to stop being vegan. A celebrity's veganism, or lack of it, only matters more than anybody else's to the extent that it is publicized. In general I am no fan of finger pointing. My own history of wearing fur and eating veal makes me question any response of fury I start to feel when other people hurt animals. As I said in a recent Origin Magazine interview, I make sure to stay keenly aware of my own shortcomings so that I am more patient with others. For example, while I now try to do my best by the animals, who I have vowed to help, I know I fall short in other important areas. I buy things from countries where there is slave labor, and choose not to think about the possibility that my purchases support it.That means I can do better, and I will strive to, but surely doesn't mean I deserve to be made the target of death threats, or even of a campaign that widely proclaims my heartlessness. I know that a kinder, though equally committed, form of activism won't appeal to everybody. That could well be a good thing as I have no crystal ball, and various forms of activism may be effective for different people. But while acknowledging that possibility, I urge people to keep that goal, effectiveness, top of mind. We should think strategically and carefully about the messages our campaigns carry, both express and tacit. We must take care not to vent our anger at the expense of, rather than in service to, our worthy cause.